Wilde's tradegy that tells the Biblical story of Salomé in one act. Full-cast dramatization featuring Lester Fletcher, Jack Evans, Forrest Williams and Bettye Ackerman. Overdone, overwrought, ham-fisted, and hammy. Cyrano is a brash, strong-willed man of many talents whose whimsical aptitude for the spoken word is overshadowed by an attribute that is iconic, outrageous, and gigantic - his nose. How can the curiously snouted Cyrano ever hope to win the affections of the beautiful Roxane? A dark tale of hubris, lust, and self-destruction…as told by a man who famously fell prey to those same impulses in his own life. 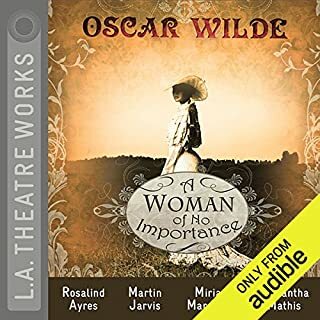 Oscar Wilde wrote his original interpretation of the Biblical story of Salomé in French, and the play was so controversial that no theatre in England would produce it for nearly four decades. Includes a conversation with director Michael Hackett and Wilde scholar David Rodes. 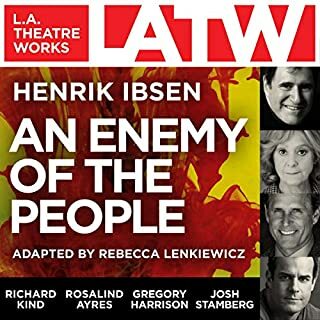 An L.A. Theatre Works full-cast production starring: Rosalind Ayres as Herodias, James Marsters as Iokanaan, Andre Sogliuzzo as The Young Syrian and others, Kate Steele as Salomé, John Vickery as Hero, Matthew Wolf as Page of Herodias and others. Music by Djivan Gasparyan and Lian Ensemble. Directed by Michael Hackett. 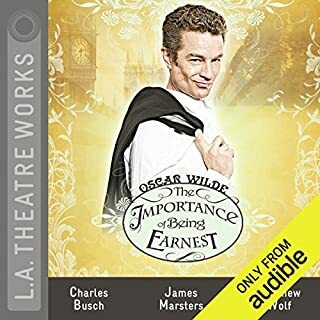 Recorded by L.A. Theatre Works before a live audience. As I contemplate going to see Salome at the Santa Fe Opera this morning I thought it would be nice to review the play that started it all, Oscar Wilde's Salome. I'm not sure that our age is capable of the genius he shows in this writing. Oh he takes liberties with the story for sure, but wow! 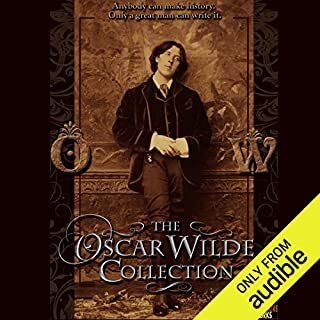 The story line is incredible, the understanding that Oscar Wilde had of the scriptures and the culture of antiquity that allowed him to take the liberties he did is truly astounding. Tell you the truth, my previous knowledge of Oscar Wilde consisted of anecdotes and some smart epitaph on a tombstone. Listening to this makes me want to read and hear more of his work. I also have to say that the LATW did a wonderful job. I only wish I had been there to see it on stage. The audio was great and opened up my imagination. Exquisite work! 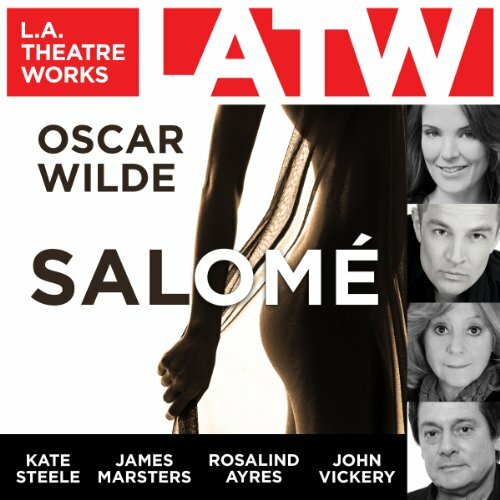 Even as an Oscar Wilde fan, I've found it hard to find productions or even printed copies of Salome - it seems it's not nearly as popular as Wilde's comedies, though it is a much more complex and mature work. I loved the play, and this production....I hope one day to see it performed on stage. 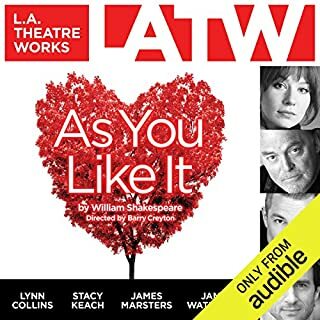 LA Theatreworks always put together great radio productions, and this one is no exception. I also liked the interview afterwards (approx 15 minutes) regarding Wilde and the situations surrounding the creation and production of Salome. What disappointed you about Salomé? 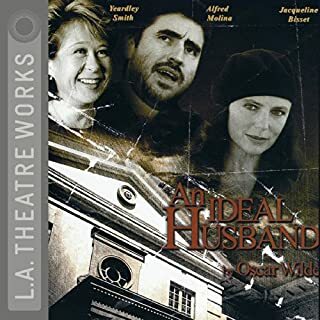 This play was touted as being scandalous for its time period, and maybe it was, but in this day and age it's just dull. I couldn't care less about the characters and didn't find the dialogue witty or amusing at all. What could Oscar Wilde have done to make this a more enjoyable book for you? I was expecting more of his usual wit, and perhaps something more of comedy noire. Even if I didn't have my own expectations set high because of my love of his other plays, I still wouldn't have liked it. The narrators do a good job of giving the characters a unique voice and adding emotional subtext, but unfortunately the story is just lame. Disappointment...I didn't really find it that scandalous, it wasn't funny, it didn't even hit the right notes for tragedy (i.e. Romeo and Juliet, Oedipus Rex), and I felt like you might as well just read the biblical version and not bother with Wilde's retelling. Perhaps this play would be better viewed from the stalls with a large glass or two of wine and something to throw at the actors. I do not recommend it. A great performance by all those involved. Stay on to the end as there is a great lecture on chapter 7.